Employment Practices Solutions (EPS) needed a new website that would maximize their exposure to their target audiences, while being easy to update and maintain. The goal was to not only drive more employment attorneys and law firms, human resources managers, and corporate counsel to their website, but also provide a more engaging, informative experience. A Classic Design is Timeless. EPS desired a timeless design that was clean and modern, with a professional look and feel. 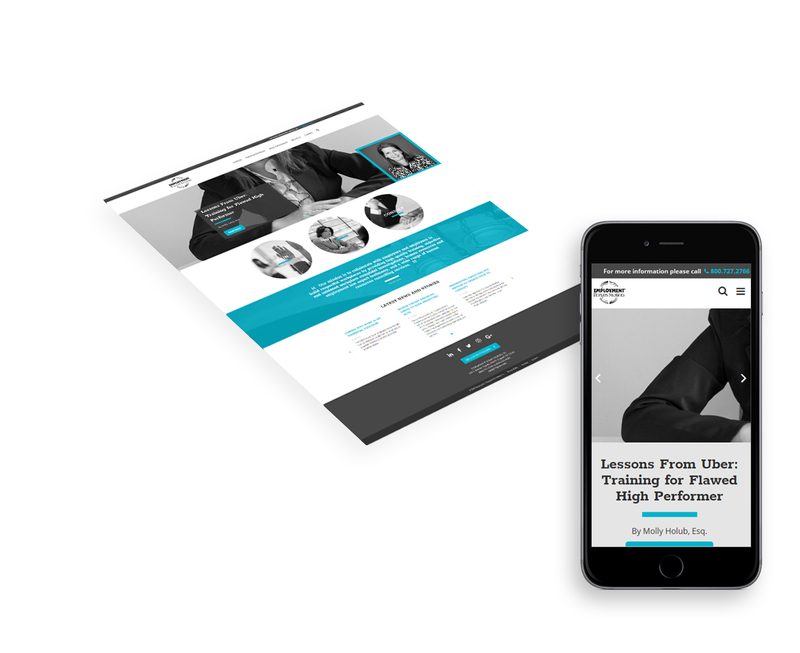 To achieve this, Beacon designed a grayscale scheme with a pop of teal to accent and highlight various calls-to-action and features. Other design features include the unique hover states on actionable items, and customizable banner areas to feature highlighted content. These results helped to drive improvements in the new site’s information architecture, navigation, and featured content selections to better serve and engage visitors. Beacon also created a new “Our Professionals” template to replace the outdated listing page. This new page allows multiple filtering options and simplified navigation, making it much easier for users. Post-launch, Beacon’s Digital Marketing Team upgraded EPS to Universal Google Analytics tracking and moved the EPS site into Google Tag Manager. With analytics goals and events in place, EPS now knows when a professional is contacted and what areas of their website are viewed. They now also collecting information about engagements, such as phone number clicks, email address clicks, and more.